HomeNCAABBWhich Team(s) Will Win Their First NCAA Tournament Game in 2019? Which Team(s) Will Win Their First NCAA Tournament Game in 2019? The college basketball season is upon us!! Continuing our series of team’s looking for their first postseason win, we take a look at teams who have made the NCAA tournament in the past, but have never won a game. These 10 teams all might have a realistic chance to get off the schneid in the 2019 NCAA tournament. You may not have noticed, but Nebraska went 22-11 in 2018 and finished 4th in the Big Ten. But the lack of big wins, in conference and out of it, prevented them from claiming an at-large bid. With many of last year’s top players, “Nebrasketball” should return to the NCAA tournament. Some people have UCF pegged to win the AAC this year. 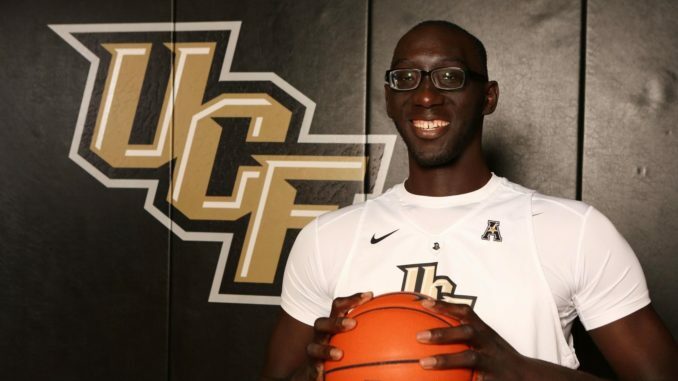 Senior guard BJ Taylor returns as does 7’6 center Tacko Fall. It seems bold projecting a team that hasn’t made the tournament since 2005 and never been higher than a 14 seed to win a conference that includes Cincinnati, Wichita St, Memphis, Houston, and UConn. Northridge fired Reggie Theus, a well traveled and experienced coach to bring in another veteran coach – Mark Gottfried. 2019 might be an aggressive timeline, but I would expect Northridge to return to the tournament sooner than later in a Big West that isn’t overly dominant. Gottfried built a strong coaching staff, which includes former Cavaliers guard Mo Williams. Last year was the first time coach Dan Majerle’s team was eligible for the tournament and they lost the conference championship game to New Mexico State, forcing them into the NIT. Grand Canyon returns most of that team and should have another shot to make it. Iona has the unfortunate distinction of playing the most games without a tournament win (12). They have made the tournament three straight years and haven’t come particularly close to winning games any of those years. Perhaps 2019 is their breakthrough season. NC Central actually won the tournament championship in 1989 – in division II. Now playing D1, they have 3 tourney appearances but can’t get over the hump. For the third straight year, they are projected to be in the mix for the play-in game, which technically counts as an NCAA tournament win. Hard to believe SDSU has never won a game – they’ve made the tournament three straight years and have felt like a trendy upset pick in two of the three. As a 12 seed in 2016 and 2018 they lost to Maryland by 5 and Ohio State by 8, respectively and in-between were a 16 seed in 2017, losing to Gonzaga by 20. Mike Daum is back for his senior season and has dominated the Summit League for three years. He will be joined by returning budding star David Jenkins is. Last year, the freshman averaged 16 ppg in 30 minutes per game. Chandler Hutchinson is gone from a team that won 23 games last year. Boise finished just two games behind Nevada last season, but the Wolfpack are expected to open the season as a top 15 ranked team so the Broncos best bet might be an at large bid. This is a team with no seniors. Justinian Jessup is one of the top returning players, he averaged 11.6 ppg, 4.7 rpg. If not 2019, Boise State will get back to the tournament very soon with a chance to win their first ever game.